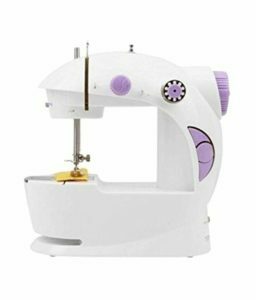 If you are one of those who is interested in stitching clothes or anything that needs you to go with the fabric, you would be looking ahead for the best sewing machines. As opposed to stitching by hand, the sewing machines bring in that much needed professional look to your clothes or any fabric. In fact, you can even become self-reliant economically if your stitching expertise gains momentum. From that perspective, we thought of checking out a few good electric sewing machines that would help you achieve that goal. So if you are having the question – which sewing machine to buy, then you are on the right page. Before we begin discussing our top 5 picks for the best electric sewing machines available in India, we will check out a few factors you need to give a thought to before actually opting for a particular product. This would serve you as a kind of a buying guide in a concise form, this will help you make a learned decision. Decide what you want to do with your sewing machine. If you are just a newbie, you would not need a masterpiece of a sewing machine. You can do with an ordinary option that would complete most of your tasks. On the other hand, if you are a professional and want to perform a host of tasks with your machine, you would need a multifunctional option. In essence, assess your needs and compare them with the capabilities of the machine. Go for the one that best meets your needs. You should always ensure that your new sewing machine comes with the necessary attachments and would not need a separate purchase for them. The attachments would be dependent upon the task you are planning to perform with the machine. A basic sewing will need multiple width feeds and similar minor attachments, while if you are looking for advanced skills you would need to look for the attachments that fulfill your options. Type of the hook can be one of the deciding factor depending upon your expertise. Type of hooks also has a bearing on the threads that it can accept. The hook picks up this loop and wraps it around the bobbin thread by traveling around the bobbin case. Obviously, the hook plays an essential role in the formation of a stitch. A horizontal hook is quite widely used and has been one of the prominent options. You also have models with a vertical hook. With a horizontal hook, the bobbin drops from the top which is convenient for most of the sewers. A few additional features would be worthwhile enough for a better functionality which will help you to get more out of your investment. Some of the features worth noticing would be a task lighting, automatic buttonholer, adjustments for feed dog so that you can indulge in darning or speed control options. Warranty is one of the most important factors you would need to pay heed to while opting for a machine. A few of the below-mentioned products have warranties up to 25 years, but not everything is covered in all the warranties. Also, there are machines which do not come with any warranties. Check clearly what is covered under warranty and what is not. Also, do check where are the service centres of the seller, if they do not have any service centre in your city, then it will be difficult for you to claim the warranty. Make sure you get the best for the amount that you are going for. Basically there are 2 types of Sewing Machines – Mechanical & Electrical. 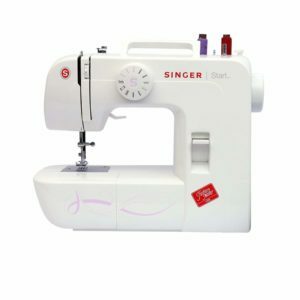 Mechanical Sewing Machine – If you are not a regular sewer and if you do not wish to invest much, then you can opt for a mechanical sewing machine. These machines require you to manipulate several controls by hands. In this post, we have not mentioned any mechanical sewing machine. Electrical Sewing Machine – If you are a frequent sewer and if you can afford to invest a higher amount, then you should go for electrical sewing machine. 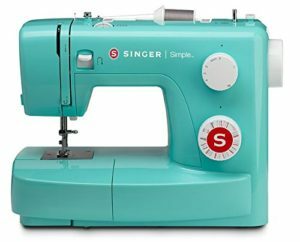 In this post, we have reviewed 5 electrical sewing machines. 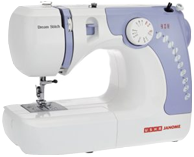 An easy to use and compact option for all your needs in sewing? The Usha Janome Dreamstitch Automatic Machine is your best option. It can handle a wide variety of fabrics and has an Auto Shut off feature for the bobbin. You have access to a horizontal shuttle and work with 7 different patterns for your stitching. You should also be able to work with buttonholes as well through simple steps. The lightweight machine comes with a carrying handle and offers you 14 multiple applications. Support for lace fixing, quilting, smocking, zip fixing and rolled hemming should be an added advantage. Highly portable with a lightweight design. There are no advanced controls and thus can be used by newbies as well. Features a removable extension table for easy stitching. Tension control may be an issue. The location of the reverse stitch dial is a little complicated. Does not have embroidery function. A: Yes you can call Usha Customer Care at 18001033111. They will arrange a demo for you. Q: Can it be used for Pico falls and beading? A: Yes, it can be used as a fall beading sewing machine. Q: Can it stitch buttons? A: Yes, it can be used to stitch buttons. 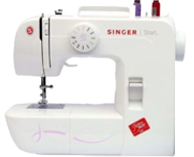 Singer is one of the best sewing machine brand available on this planet! Singer Simple 3223 may be looking a little dampening, but still, you have three colour options to make your stitching experience the best in its own class. What makes it even a better choice would be the number of accessories that it comes equipped with. There are over 25 different stitches that you can work with. Other exceptional features would include automatic bobbin winder and buttonhole maker. The compact design would make it quite a good option to go with and offer you a lightweight and portable functionality. A standard 25 years limited warranty. Stitch length changes with the speed and tension is not always perfect. Does not have an automatic needle threader. Q: Can it be used for embroidery? A: Yes, you can use the machine for embroidery. Q: Can it handle Interlock and Pico? A: Yes, you can do both, Pico and Interlocking with this sewing machine. 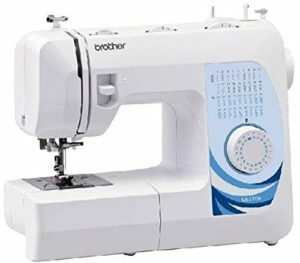 Brother GS-3700 sewing machine works with any kind of fabric and can work the best for both beginners and advanced users. You have access to over 37 different stitch patterns to opt for. One of the best options you would love with the Brother GS-3700 sewing machine is the bright LED that aids you work with even in the dark. 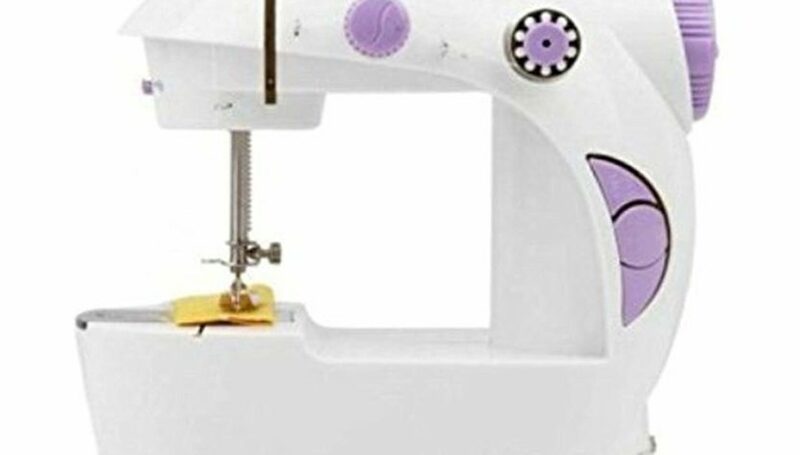 The machine comes with a host of accessories that includes bobbins, needles, and presser feet for buttonholes, buttons, and zippers. A few other features worth mentioning would include automatic threader system, a reverse button, and a removable free arm. The button hole switch is a little difficult to work with. Q: Reverse stitch options are available? A: Yes, the machine provides a reverse stitch functionality. A design that is attractive in its own right, the Singer Start 1306 Sewing Machine is one of the best sewing machine in India for beginners. It comes with six built in stitches and also lets you create accurate buttonholes. It also comes with a special knob for adjusting the thread tension. A few other features you would love include reverse stitching, an auto-stop function, a free arm platform for sewing sleeves and cuffs. Go with the LED light for an effective stitching performance in the dark. In essence, it should be the ideal model for all kinds of fabric and every sort of users. Supports twin needle (but you will have to purchase needles separately). Small size, can be easily kept in almirah. It is a beast! If you are a beginner, then there aren’t much cons of this sewing machine. Q: Does it have a foot paddle? A: Yes, it comes with a 2 – 2.5 meter wire for its electronic foot paddle. Q: Can I use it for fall beading? Altum Mini is indeed not the best, but if you are a beginner and just want to get hands-on a sewing machine with low investment, then it is indeed a lightweight option and can be one of the cheapest automatic sewing machine for beginners. The manual that comes along with the product offers you a complete information about how to operate it. If you are beginner with a low investment budget and considering opting for a mini sewing machine for home use, then Altum Mini 4 in 1 should be a good choice. Quite lightweight and thus best suited in terms of portability. A single control for light, stitches and speed should be ideal for the beginners. Offers you two speeds to suit your stitching requirements. Comes with extra needle and bobbin. Very Inexpensive – best mini portable sewing machine in India under INR 1,000. It may not be a good option for tougher fabric like jeans or denim. You would not like it if you are an advanced user. Q: Would I get a power adapter? A: Yes, the product comes with a power adapter. Q: Does it run on battery? A: Yes, it can run on battery (but you will have to purchase it separately) and also cables are available. Popularly known as the “Silai” machine, the above 5 are a few good electric sewing machines you can use for your needs for home use. We have made it a point to include the models that would be practical to use both for beginners and professionals. Which among them would you want to go with? Also do share in the comments below, according to you which is the best sewing machine in India for home use and why!